“What is your actual position on a ‘solution to the conflict?’ Are you for a two-state solution or are you, as a lot of people on the left, a lot of progressive Jews, a lot of Palestinians now calling for a secular Democratic one-state solution in the Middle East? Where do you stand on that?” Mehdi Hasan, the host, asked. Since Omar was elected to Congress, she has made headlines for statements pertaining to the conflict. Most recently, Omar was caught deleting three tweets earlier this that sparked backlash. 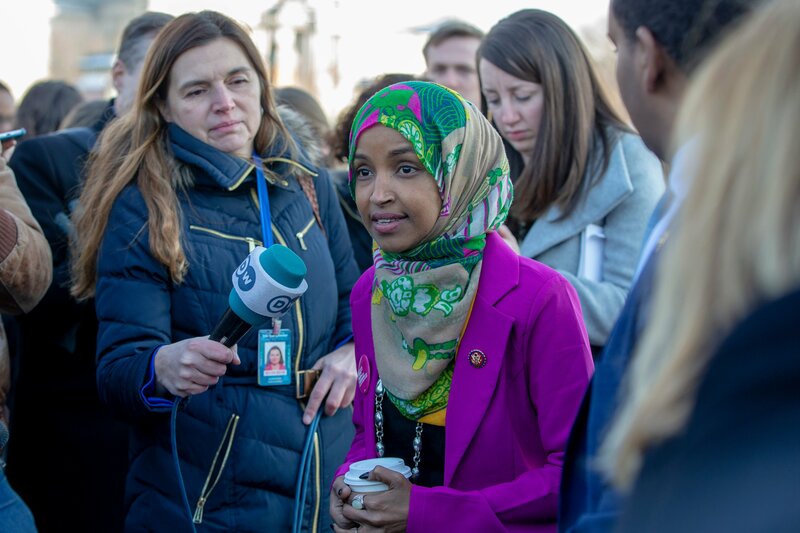 Earlier this month, Omar sparked another controversy for two tweets that suggested the American Israel Public Affairs Committee (AIPAC) bought congressional support for Israel. The tweet gained significant backlash from across the political aisle and were also deleted.